A ten-month-old baby was saved by the Turkish coast guard after she floated about a kilometre out to sea just off the coast of Küçükkuyu into the Aegean Sea. Little Melda Ilgin was on a lilo close to shore in the coastal town of Ayvacik when the wind carried her away, toward the Greek island of Lesbos. 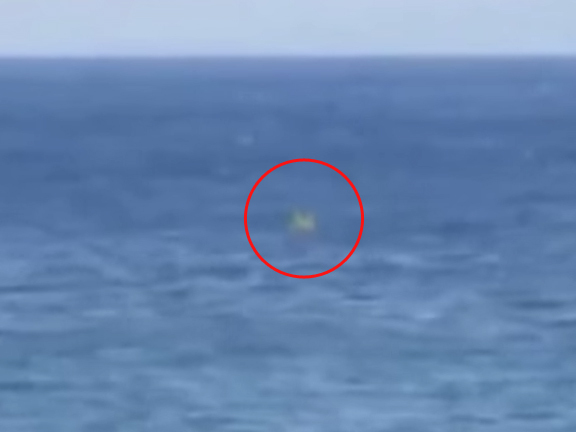 Her parents reportedly hadn't realised that she was gone until other beachgoers alerted them. Thankfully, the tot was rescued by the Turkish coast guard, who released a video of the rescue operation. The coast guard returned her to the safety of her mother's arms as onlookers cheered.